Why? : Anything Annie Mac Presents is on the money. 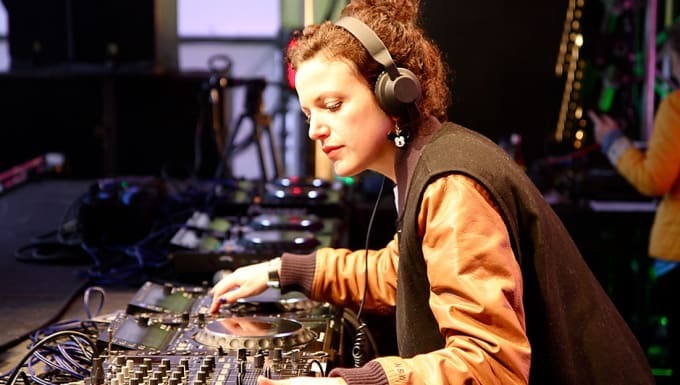 Since 2004, Annie Mac has been a fixture at BBC Radio 1; be it her own Friday or Sunday night shows, or as a fill-in for the likes of Zane Lowe. Her popular Annie Mac Presents compilation series has helped showcase dance music artists that went on to have huge impacts on the scene. She's been a champion for drum & bass scene, and ended up winning the Best Female award at the 2009 Drum & Bass Awards for her contributions to dnb. She's been with her boyfriend, Toddla T, for years, and recently announced that they're expecting their first child together. She's so important, she's literally nurturing the next wave of bass music youth.